IMSA International Executive Search, combine to carry out recruitment through Executive Search to identify the best professional executives, nationally and internationally, to enable your business to reach its strategic and operational targets. IMSA partners coordinate to work closely with your business to help you build across the Americas, Europe, Africa and Asia/Pacific. Executive search and selection requires the application of a rigorous methodology, and a comprehensive approach taking into account and targeting across such factors as specific competitors, industry, job function, management style and future potential. We differentiate ourselves by offering our clients a “hands-on”, timely and cost effective approach that emphasizes client communication and learning, process management and quality control. Our clients entrust us with their most important, sensitive and confidential management problems. We respect this trust and place their interests above all by pooling our skills and resources for the clients’ benefit. IMSA views its mission as increasing the corporate community’s productivity and effectiveness by offering its clients a systematic management consulting approach to executive search and selection. Global reach with a bespoke Client service. High standards of quality and ethics. Managing recruitment projects with passion and dedication. Management graduate from the Warsaw School of Economics, as well as finance from the University of Gdańsk. Founder of Carpenter Consulting. An expert in recruitment and evaluating the competences of management staff. For more than a decade, has been successfully recruiting and auditing managerial competence at the highest level for both international and Polish corporations. Masters degree in commerce. Studied at University of the German Armed Forces, Hamburg. Gained industrial experience working for Olympus Optical Co. (Europe) GmbH, Hamburg on Executive Marketing and Sales positions, as well as Medical Instruments Managing Director – Marketing and Sales Europe, Cameras and Dictation Systems. MBA at SDA Bocconi Milan. 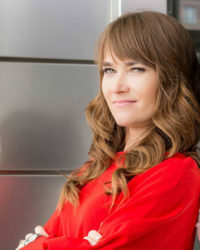 Marianna has built up more than 15 years of experience managing structured, complex executive search projects. 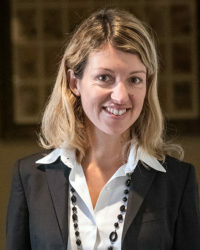 She has carried out more than 400 searches to identify the best managerial profiles in the main industries of the Italian market. 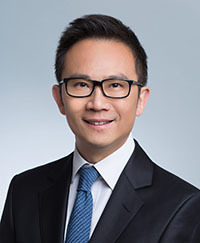 Mr. Chang is former co-president of the Kellogg Hong Kong MBA alumni club, former president of Diocesan Boys School Old Boys Association and the former president of DSOBA Charitable Foundations Limited. 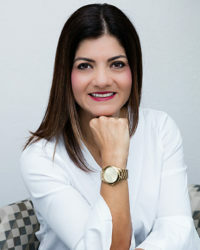 With over 19 years of progressive experience in recruiting and talent acquisition, Lizette has occupied throughout her career strategic positions in the area of Human Capital for various multinational companies like Eastman Kodak Company, Johnson & Johnson and before founding Bleumind Executive Search, she was a Partner of a boutique search firm in San Diego, CA, leading the Mexico operations. 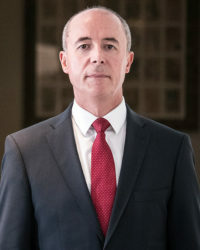 Thierry studied Law and Human Resources and has also an engineering background. 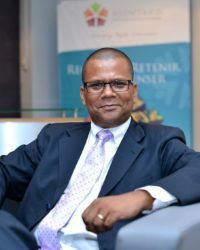 He has been involved in recruitment assignments for Government bodies, International NGO’S and private sector organisations in Mauritius and abroad.